The current focus is on products for dogs, but others are clearly possible! I also make and repair tack and equipment for horses or cows. 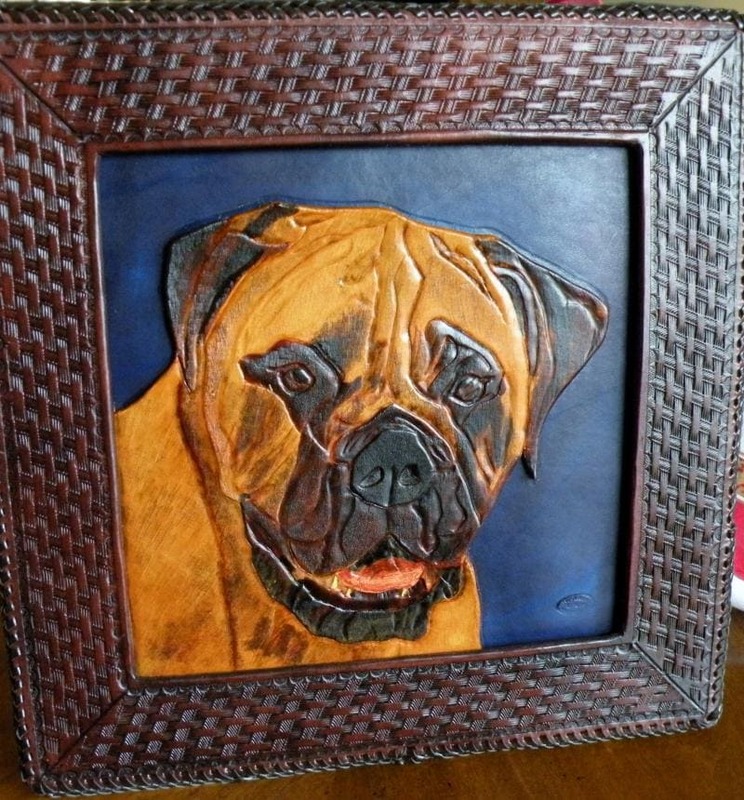 Have a picture of your pet that you’d like in leather?I’d love to do it for you and then place it in a leather frame! The ideal leash for day-to-day use. You specify the overall length and width, leather color and hardware color (nickel plated or brass). 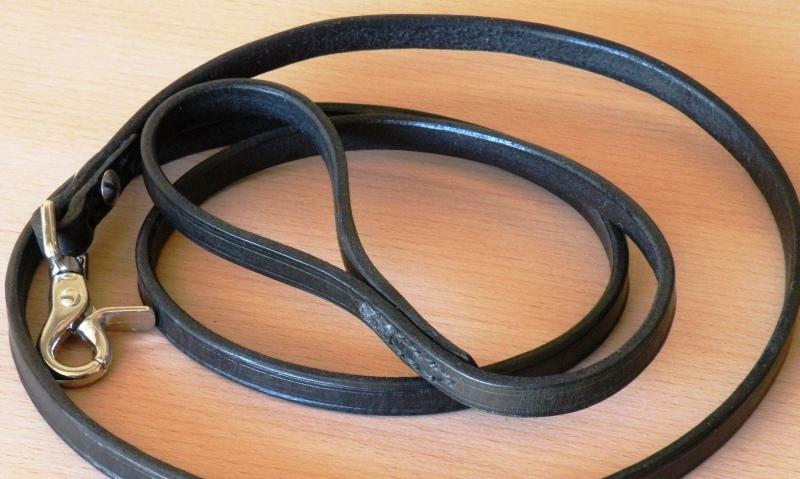 The leather can either be single layer (shown here) or double layer sewn together for extra strength. There’s also a choice of type of snaps, either typical snaps, trigger snaps (shown here), or marine snaps. 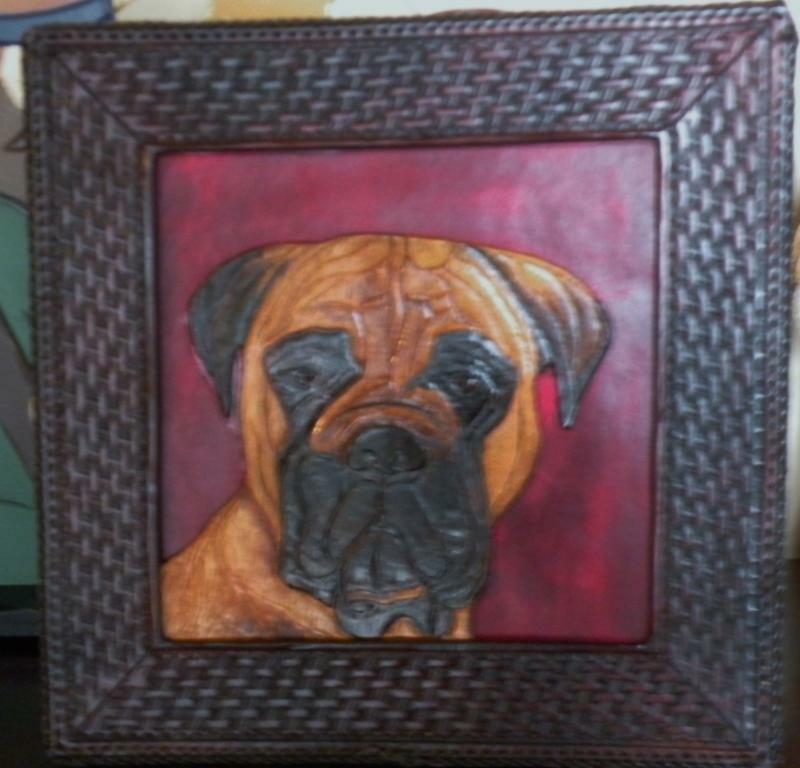 Special designs or names can be added, depending on the width of the lead. While you’re at it, why not get a matching collar as well! Again a day-to-day leash, but with a bit more elegance. Same choices as with the strap lead, but can get more creative by mixing colors of the braided strands. The challenge of competition! Again show leads can be either strap or braided; slip or snap. You pick the combination that you need. As always,you specify the length, width and color to best show your dog. Buckle collars or slip collars are possible. 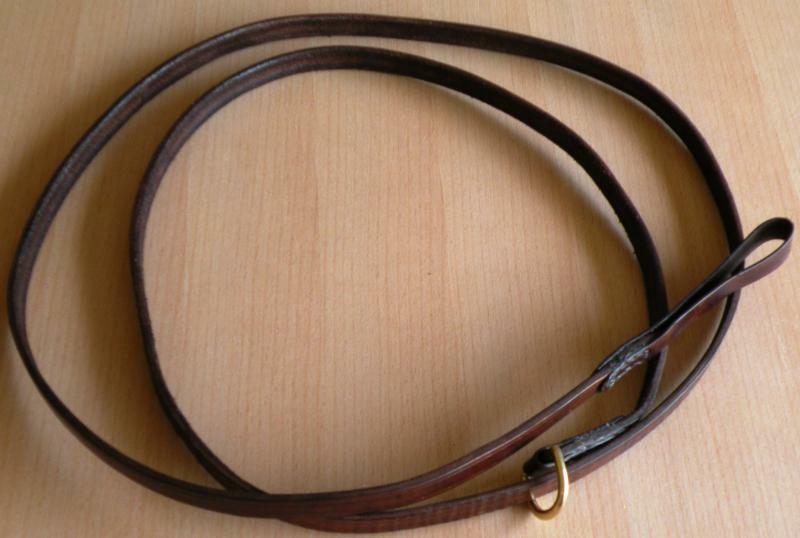 Again you can specify the width, length and color of the leather and hardware. 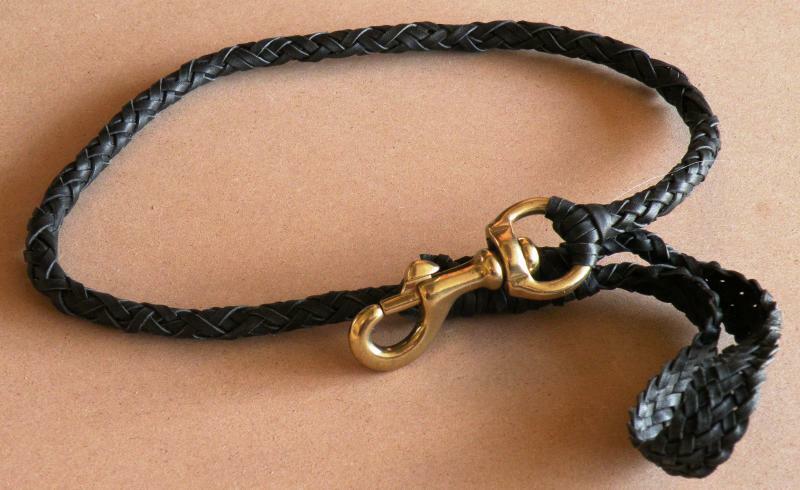 Want to add some bling to your pet’s collar? It’s possible, but let’s be sure to keep it safe for you and your pet! 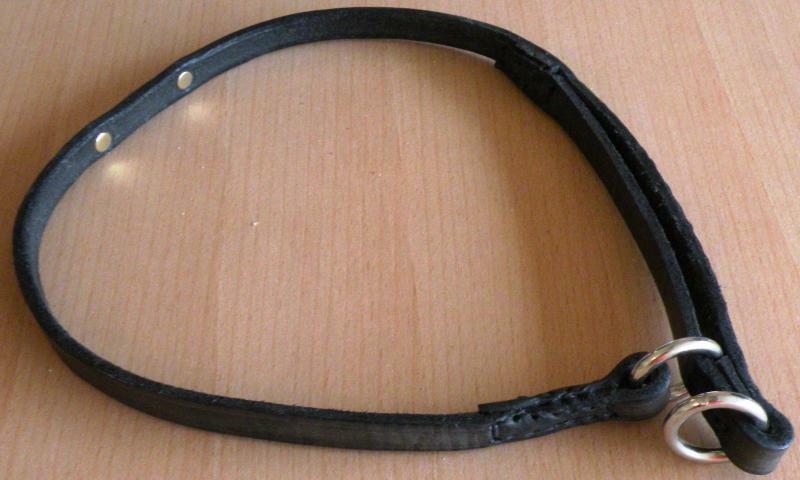 Sizing slip collars measure the circumference of your dogs head, then reduce it a bit since the leather will stretch a bit.